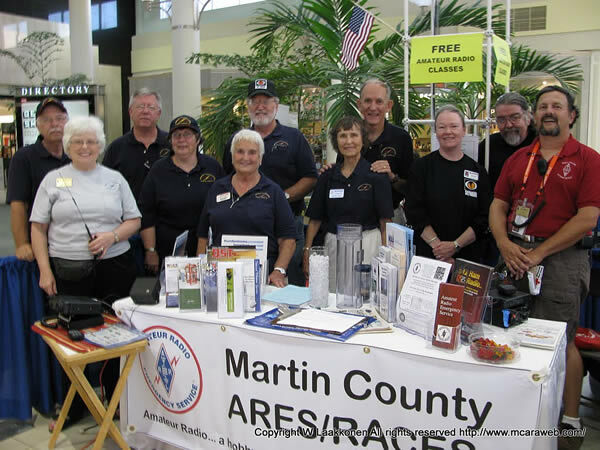 The Martin County Amateur Radio Emergency Service (ARES) meets on the 2nd Thursday of each month. The meeting is held at the Martin County Emergency Operations Center (EOC) located at 800 SE Monterey Road in Stuart. All people with an interest in Public Service and Amateur Radio are welcome to join us. Our association is open to people who are interested in getting their license, or "ticket," as well as "old timers" (people who've been in the hobby awhile).